In Bangladesh the 1st draft on consumer rights protect act was prepared by the ministry of Commerce in 1998. The law commission suggested various changes on October 2000. In 2006 a revised draft on consumer rights protect act was framed and in 2008, the non party caretaker-government passed the law through ordinance. 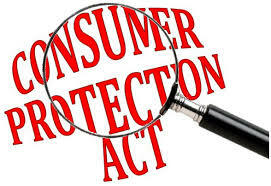 The ordinance was not approved by the parliament and the government passed the consumer rights protect act, 2009. the act states various provision to protect consumers’ s rights that includes; definition of a consumer, the Act establishes a national consumer protect council and a department for the protection of consumer rights. Even the district magistrate ie. DC is authorized to act and exercise all the power of a director general to the department concerned. The director general can examine any product, attach it in case of adulteration or even the arrest of offender.